I usually don’t get gel manicures very often. Only when I’m going on vacation. Or for special occasions. But that’s changed ever since I tried a DIY Gel Manicure. 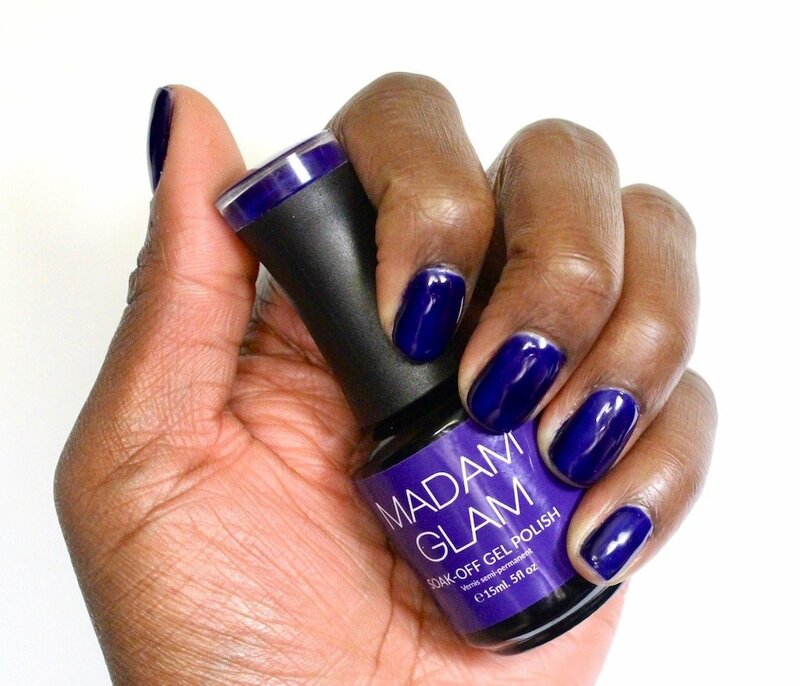 Madam Glam sent me over an at home gel manicure kit for review consideration, and it’s changed my manicure life. All while saving me some coins. 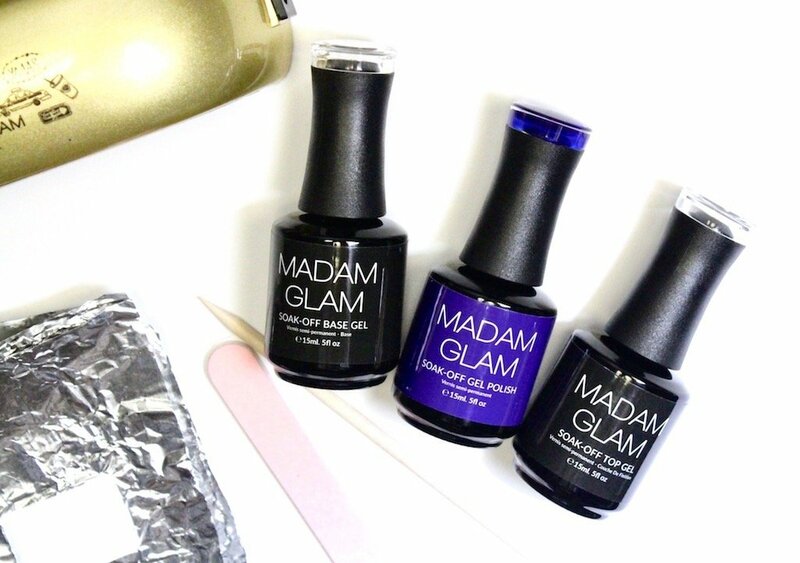 The Madam Glam Fabulous Gel Kit includes a mini LED Lamp, 3 Soak Off Gel Colors (including base + top coats), wrap foil, a wood stick and a nail file. Simply start with clean, shaped nails. 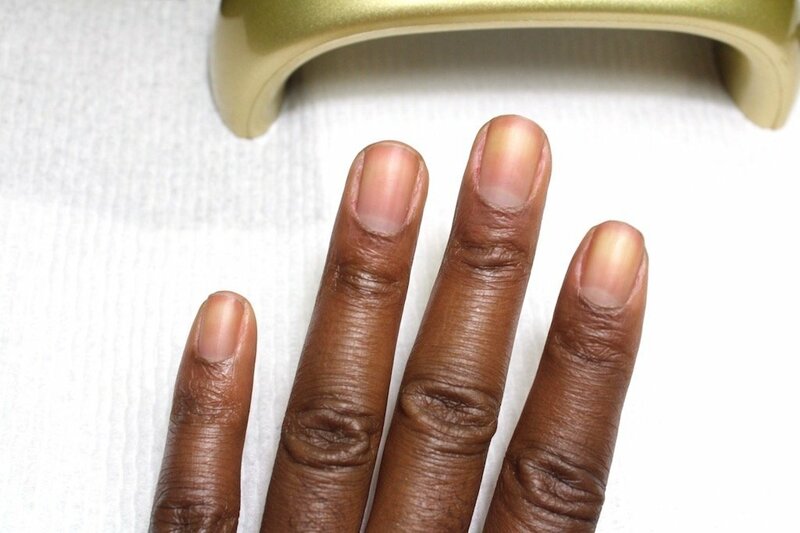 Push back the cuticles. And remove the shine with a buffer. 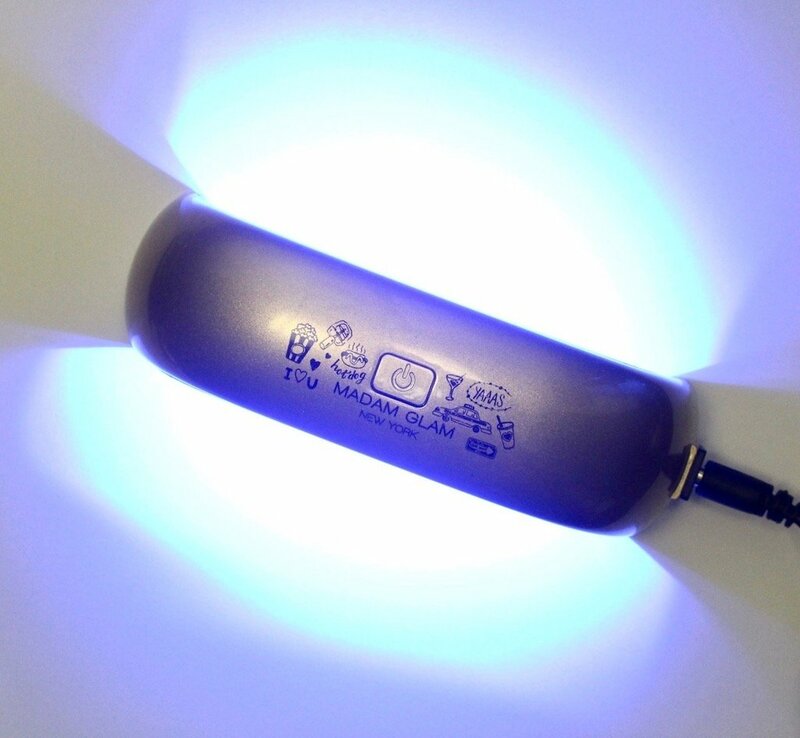 Apply one coat of the Base Gel and let cure under the LED Lamp for 30-60 seconds. Next apply a coat of Gel Color and let cure for 30-60 seconds. Now apply another coat of Gel Color and let cure for 30-60 seconds. 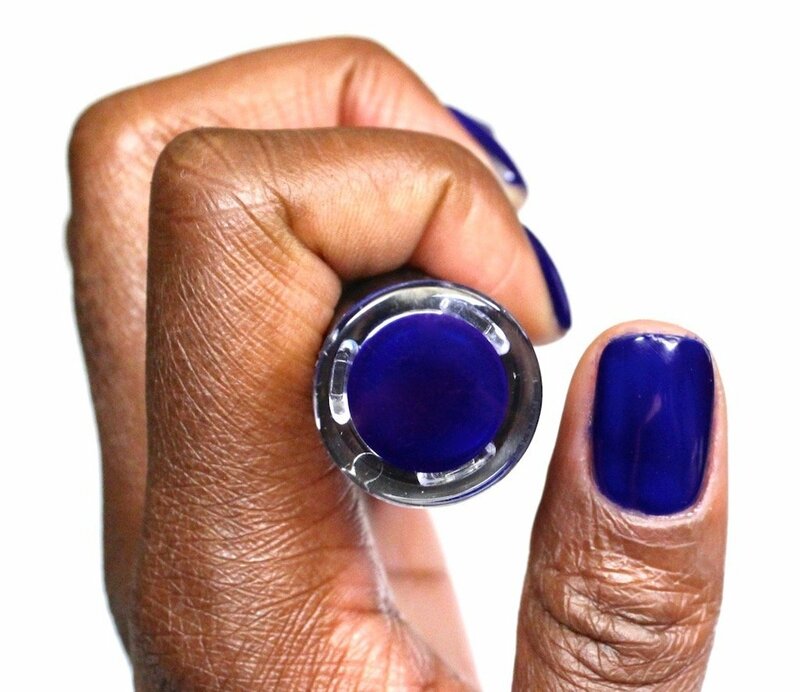 Complete your DIY Gel Manicure with a coat of Top Gel and let cure for 60 seconds. Then cure for an additional 60 seconds to ensure that your nails are completely dry. Use a cotton pad with rubbing alcohol to remove the tacky residue. And you’re all done. You now have a shiny gel manicure that will last up to 3 weeks. Word to the wise, use thin layers. If you apply the polish too thick, your manicure won’t last as long. 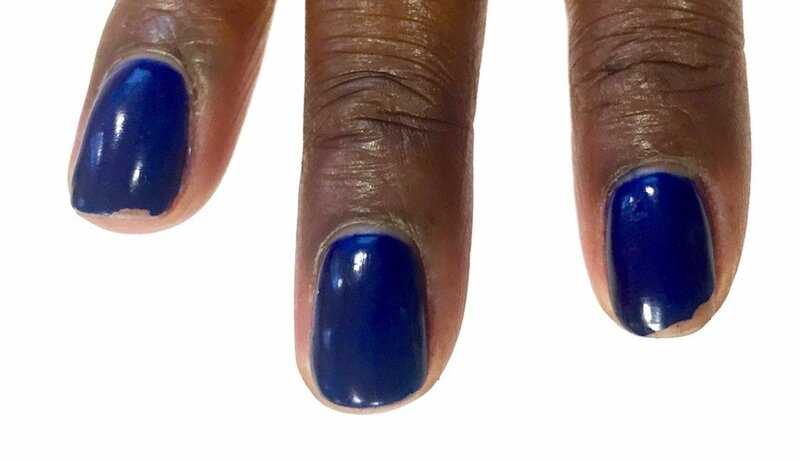 My first DIY Gel Manicure only lasted a week (below) as I applied the polish too thick. I tried two more times and got 10 days the second time around, and two weeks the third time. It gets better with practice. To remove, first file off the top coat. Next, soak the cotton on the foil wrap in acetone, and wrap the foils around the nails. And let soak for 10 minutes. The polish should now come off easily with the help of the included wooden stick.